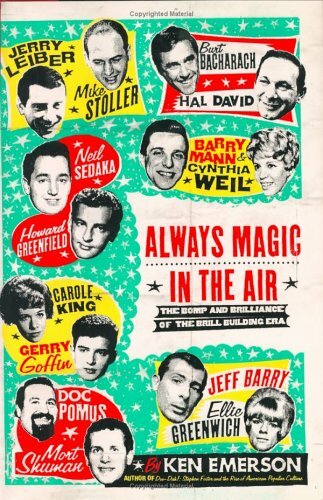 Profiles fourteen songwriters responsible for such hits as "Jailhouse Rock," "Uptown," and "You've Lost That Lovin' Feeling'," explaining how their blending of music from different genres affected social consciousness, in a volume that includes portraits of such figures as Neil Sedaka, Hal David, and Carole King. 30,000 first printing. Ken Emerson, the author of Doo-Dah! : Stephen Foster and the Rise of American Popular Culture and coauthor of Stephen Foster, a documentary film for the PBS series The American Experience, has written widely about popular music and culture since the 1960s. His articles and reviews have appeared in publications ranging from Rolling Stone to The Wall Street Journal. He is the former articles editor of The New York Times Magazine and op-ed editor of New York Newsday.